Thanks MaryJane you made my morning. When I first started Mother I hadn't really looked at the pictures and I should of cause I was making it so much harder for me. Each time I went to feed her I removed the damp towel - put it on wax paper that I had placed in the sink. Fed her then put the towel back on and checked the water level. Sometime around Wed or Thurs (can't remember which) I was looking at the pictures for make Mother and there it was - the damp towel was pulled up on one side - gathered across the top of the bowl to the other side and pushed down tucking it around the bowl. No more taking it off and putting on wax paper. From now on I will look very closely at the pictures and read every word before I begin a new recipe. Music to my ears. Reading retention!!!!! It's becoming an old-fashioned trait/desire/skill. People are wanting how-to instructions in a single Twitter post these days. I get things like, "Tell me how to farm," or "Tell me how to take care of a milk cow" (in 140 characters or less). Yup, I just tuck mother's flour-sack towel all around her into the water kind of like a shawl whilst I'm feeding and stirring her. Then, I just pull it back over the top of her bowl and tuck the edges in. I've learned to make sure there aren't any stray bits of towel not tucked in because it will wick water out onto the counter and you'll wake up to a puddle of water on your counter. Remember, ALL tucked in, with a single loving glance as you walk away. Waiting on success, but no. Today was technically my fourth bake day. As I wrote a week ago, my mother has not progressed properly. The tangy smell remains, not as much like vinegar as before but not what I would call yeasty either. I have read the book over and over and cannot figure out the problem. I�m using the Organic Kamut from Montana. I am using purchased distilled water. I change the towel two or three times per week, it is always damp. I never miss a feeding. My mother feels a bit foamy when I stir, always for one to two minutes, but no real bubbling going on. Today I again tried the bowl loaves, added the honey, salt and flour in the correct proportions. No bubbles, no rising whatsoever! I feel so low now, all the time and money spent on getting it right!! The only shortcoming I can identify is having a cool house, usually a bit less than 70 degrees. I do try to create a warm place for the mother, placing it in a sunny window, or near the stove when the oven is on. My pricey proofer was backordered and has not arrived, but should raising the temperature 5 degrees or so make all the difference? I would just give up except for the financial investment! The proofer makes a difference. Sourdough takes a long time to raise dough. Your starter may be okay just slow de to your house temp. I know, I live in wet western WA and the proofer is a godsend. My kitchen is usually at 63� whjich doesn't raise bread very well. Do you have a seed warming mat? or an incandescent lamp? I replaced my LED bulb over my kitchen island with incandescents and put my dough higher to get the warmth and it's around 70�, Much better. Thank you, Sylvia. I have an old candle warmer with a hot, maybe halogen?, bulb in it. I was placing it near, and even over, my bowl for periods of time, but no real change so I stopped doing that. I don�t have a seed mat and my range hood has LEDs. Last week, when it was bake day for me, the house temp got to nearly 80 and I thought Oh Yay, but the dough in the baking bowls didn�t rise, maybe due to the temps the previous week being so chilly. This past week was chilly again! I think I�ll just toss this out and wait for the proofer to arrive in a week or so then start all over. I�m sorry to hear about your most recent Bake Day. It sounds like you�re following all of the steps and I understand that at this point, the process has become frustrating to say the least. Temperature could be the issue here, and on top of that, it really sounds like your mother has formed a lot of lactic acid (the result of active lacto-bacteria) and not so much yeast, which could be due to temperature issues. Sylvia makes a good point about humidity�63� in a humid climate versus a dry climate feels much colder, and could hinder the development of wild yeast. Lacto-bacteria isn�t quite as finicky about temperature, which would account for that being over-established in your mother. The fact that your mother smells a little less vinegary this week is promising. The problem with these two thing being out of balance is that both are seeking the same �food� in your mother�the starches. With over-active lacto-bacteria, it consumes the food, starving out the wild yeast. I�m trying to think of ways to encourage more yeast growth. Stirring your mother for a little longer as I said last week helps, along with doing your best to stabilize your room temperature will help. As Sylvia pointed out, your mother is a little slower due to temperatures, and the breads do take along time to rise, especially in the beginning. Individual environmental factors have a great impact on this timeline, as your mother is ultimately a product of your environment. The shipping delay on your proffer is unfortunate, because it sounds like you could really benefit from it. Thank you Ashley. I am in NE Virginia and although it�s been on the dry side, for us, last week when it warmed up it was humid too. At your suggestion I was spending more time stirring it with each feeding. Maybe that�s why it was smelling less vinegary. I agree about the microbes being out of balance! I dumped it out and will start again when the proofer arrives. Fingers crossed! 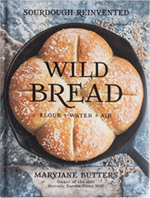 Joan I know you are looking forward to having the proofer and I am looking forward to hearing about your successes making wild bread. My mother is perking along but I am so ready for her to be matured enough to chill out in the fridge. Joan, hopefully a fresh start will be the answer. I hope your proofer arrives soon! Sara, the refrigerator mother phase is great! 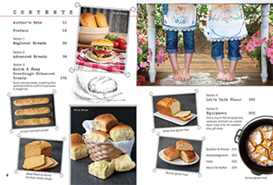 Less daily maintenance and more flexibility in the types/styles of breads you can make.